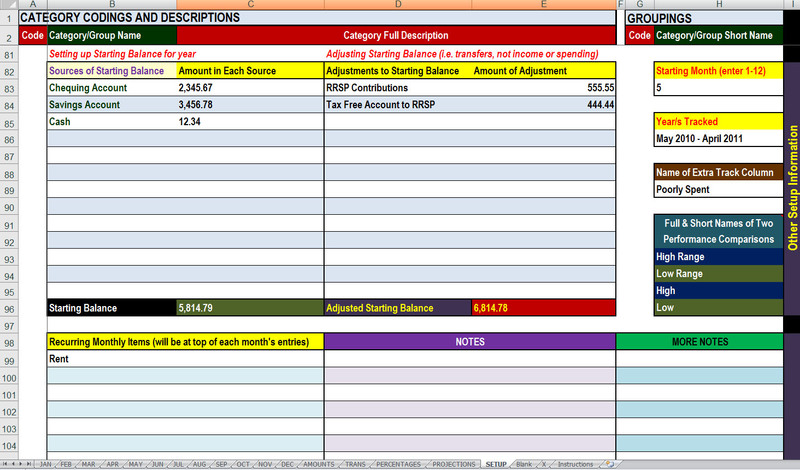 If you’ve ever aspired to try to track your finances to monitor and/or analyze your finances, this Excel spreadsheet may be the easiest and most self-motivating way you’ve yet seen! I haven’t seen any bank’s free or paid online financial tracking system give you this much information about your immediate financial status, nor as quickly. With that constant immediate feedback as you enter each new piece of data, don’t be surprised if you find yourself constantly setting your own financial targets to hit, either! 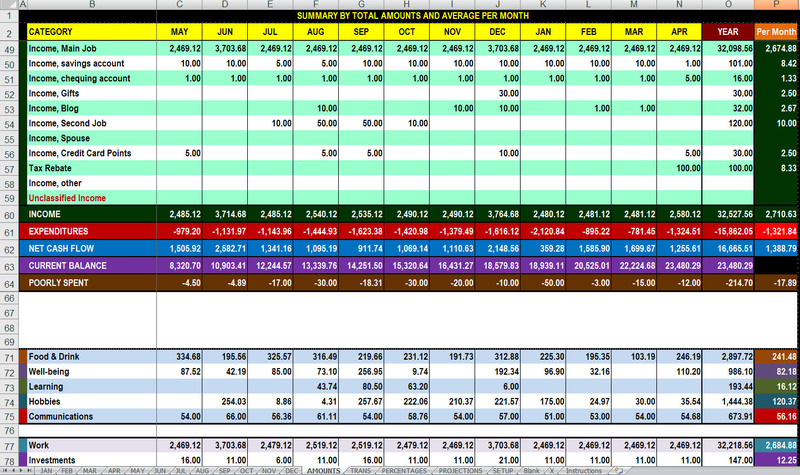 The concept behind using this spreadsheet is very easy. 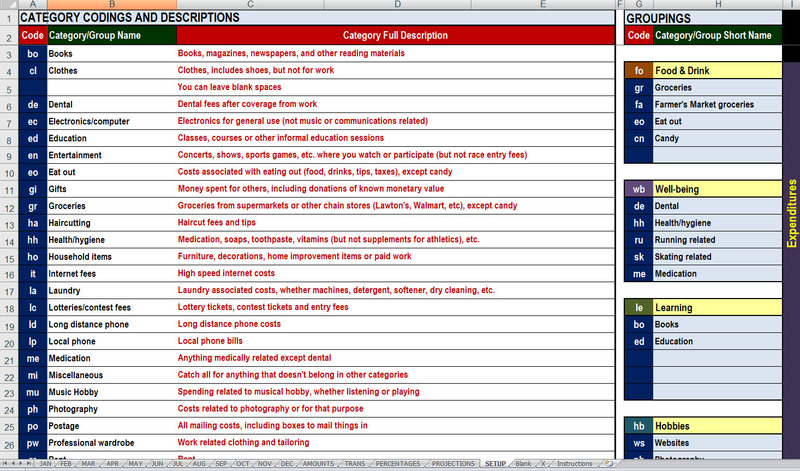 Set up things to tell the spreadsheet how to categorize and analyze your data. This upfront work will require some thinking, but you can always update or change things as you go. 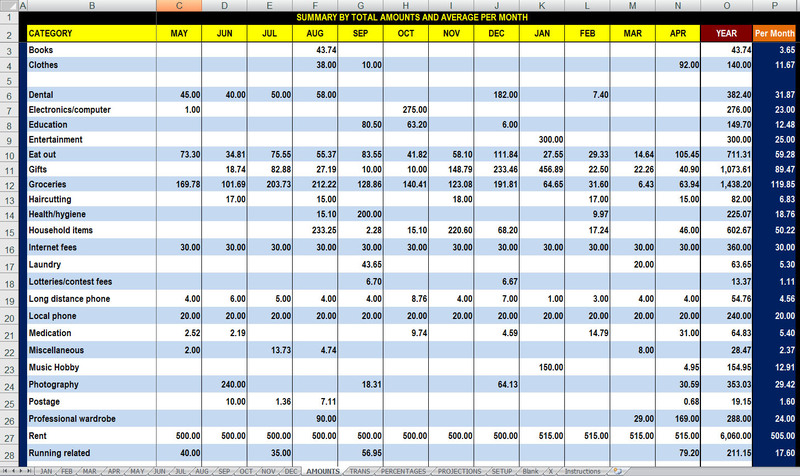 The spreadsheet will work for any 12 month period, not just calendar year. Click here for tips and suggestions on category determination. 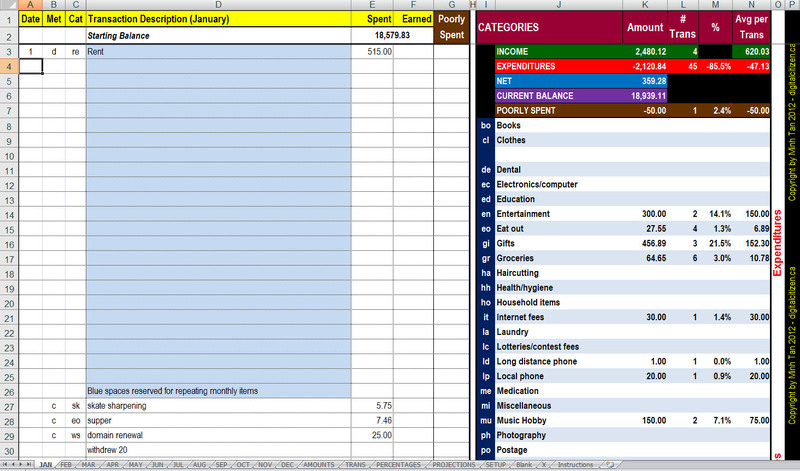 Give the spreadsheet data as you spend and earn. A side amount for tracking something, like poorly spent money, expenses with a roommate, etc. is also present. Click on tabs of different analyses to see where you stand. There are projection for where you are heading for the year, and against “budgets” or other “standards” if you care to input those parameters. More detailed instructions and suggestions are contained in the spreadsheet, but the gallery below will give you a visual overview of what you can expect, from a fictitious data filled spreadsheet you can download to play with below the gallery. 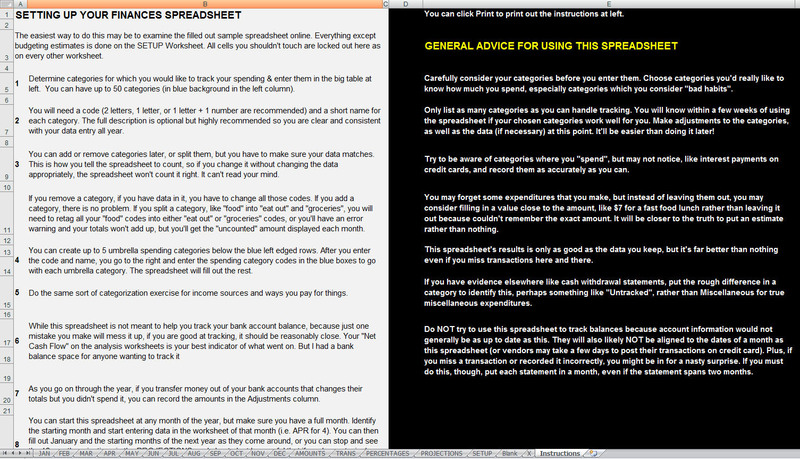 This sample spreadsheet may be the fastest way to learn to use this spreadsheet, which is also why I included it. 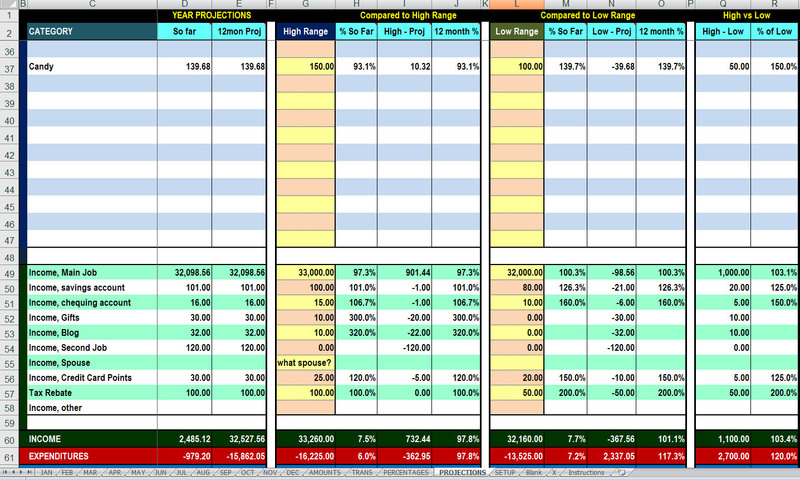 Play around with the spreadsheet above. Add entries with slightly outrageous values in different categories, like $1000 for food one day, and see how analyses change after you are familiar with where things are. 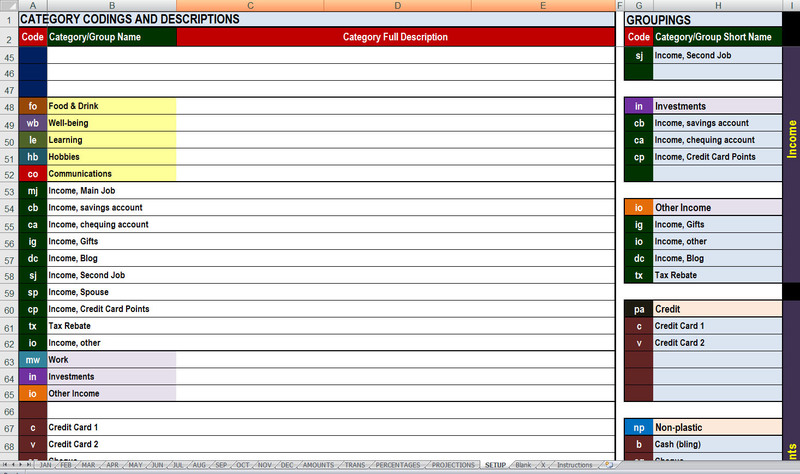 When you are ready, click on the link below to get an empty spreadsheet for your use! This spreadsheet is something I have used for over a decade to track my finances, though it’s gotten an upgrade each year. It should be fairly robust against errors and weird entries. It will even warn you against some obviously incorrect entries, like codes for categories you entered that don’t exist, or if you forgot one. If you just try to pay a little attention to the details in using it, you should have no problems. 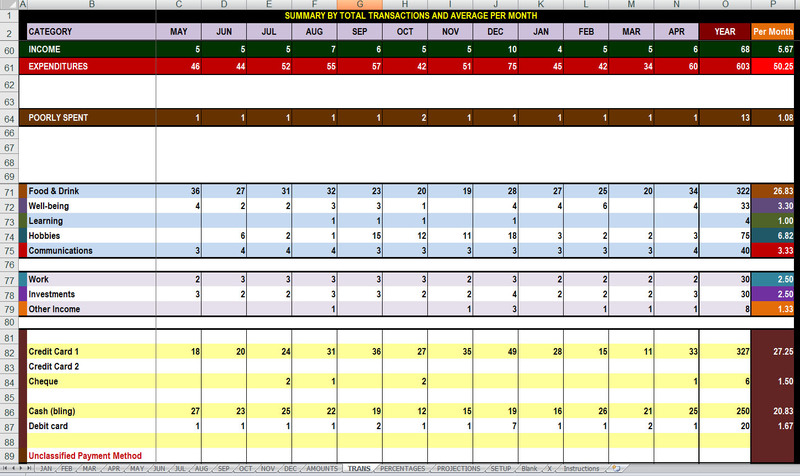 I’m offering this spreadsheet for free because I want to share something good I have developed for myself, with others. I will try to answer some questions people post as comments, but please don’t expect professional customer support. I’m sharing out of altruism and good-will, and this site is a hobby for me, not a job. Should I use cash or plastic to pay for this? ← Dig You Later (Hubba Hubba Hubba)… Not with THOSE Lyrics! Hello Minh . 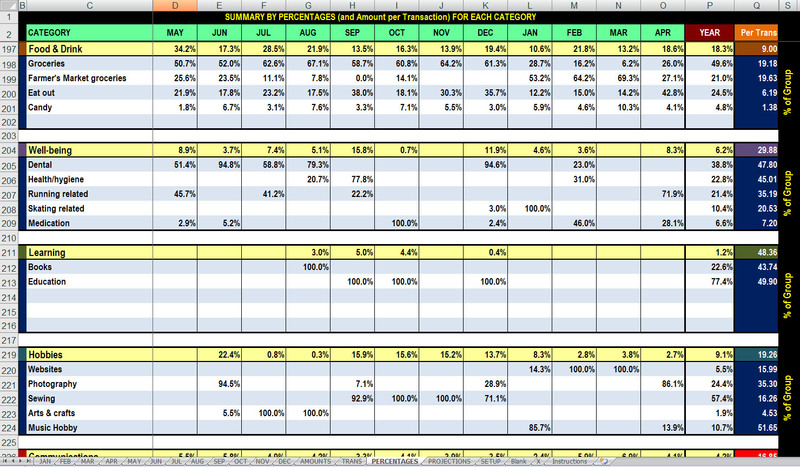 I have been using your excel for some time now and it is the best I have ever seen in my life .. Thanks a lot for your altruism . As I plan to use it for my business , I have a small question for you. For Each month maximum number of entries is limited to 290. Is there any way of increasing that? Thanks again .Glad to find out that there are people who are so good at excel. HI Levent, thank you for using my spreadsheet. It’s always nice to know the work put in was useful to someone else. It wouldn’t be hard to increase the number of entry rows. However, I’d have to go find where I put the password for the spreadsheet, refamiliarize myself with how I had put it together, and then make the changes. I’m not sure I have the time any soon (esp with that password thing). I’m not sure I can promise anything soon. Really sorry about that but maybe over Christmas break I might get some down time to try. Can it wait that long?